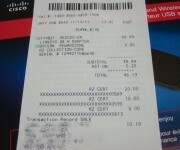 After a wicked sale and an itch to buy a new gadget, I bit the bullet and purchased a 3×3 simultaneous dual band router. 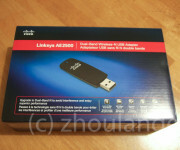 With much deliberation I chose the Linksys E4200. It is a powerful 2.4/5.0 simultaneous dual band router, with a 3×3 antenna on 5 GHz (2×3 on 2.4 GHz), and is Broadcom based. This means I can flash it with Tomato! Experimenting with my TRENDnet 673GRU had me run into a problem with client-bridge (routed) mode in DD-WRT where I could only access LAN and not Internet. 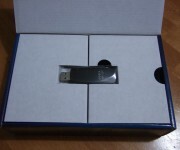 It has something to do with the number of MAC address fields in the packet (three vs four if WDS is used, see the Limitations section here: http://www.dd-wrt.com/wiki/index.php/Wireless_Bridge). Seeing as WDS between two different chipsets is not recommended, and the fact that the E4200 stock firmware does not support WDS, I had to look for another route. One strange tidbit: The E4200 with Tomato did not co-operate with my 673GRU w/DD-WRT bridged. Throughput was great, but for some reason streaming my high bitrate movies was a stuttery slideshow. On the stock Linksys firmware it was free of problems (besides the client bridge issue I noted above). 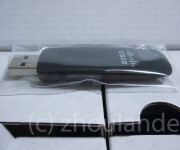 I was thinking about purchasing the TrendNET 450 Mbps adapter, either USB (about $50) or Ethernet ($80). However, I had $35 worth of vouchers that I could use towards a $40 USB adapter that is available at a local big box store. 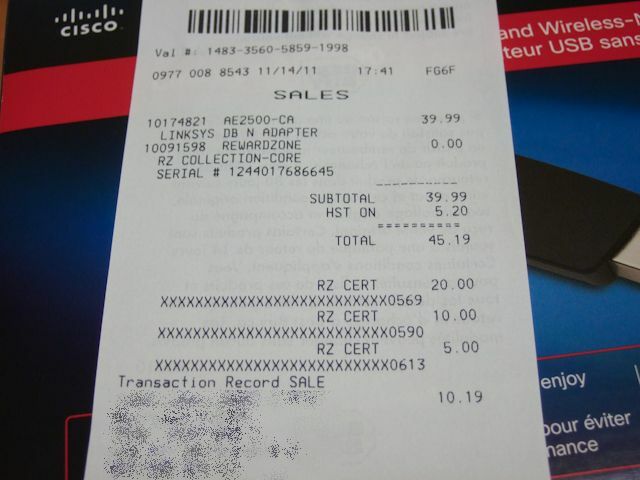 $10 and change later, I had a Linksys AE2500 USB Wifi adapter in my hands. 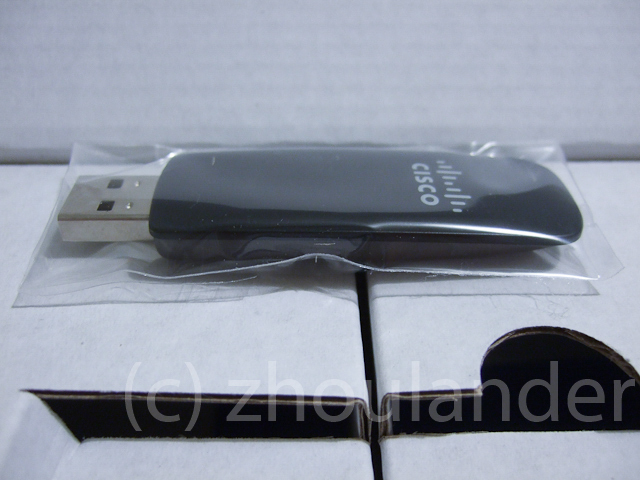 It supports 5 GHz, and has a 2×2 antenna design for “300 Mbps”. 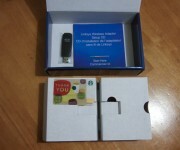 The first thing I noticed is that the box is pretty large for a USB adapter. When I opened it up, I was actually appalled by the amount of excess material used in the packaging. Take a look below – the card is there to give you a size reference. It was such a waste that I just had to share. After getting the E4200, I also purchased a T420s with a 3×3 Wifi card. That thing lets me pull about 15 MB/sec sustained. Pretty fast, and more than enough for high bitrate movies. With my 2×2 673GRU bridge, I can pull 9 MB/sec. 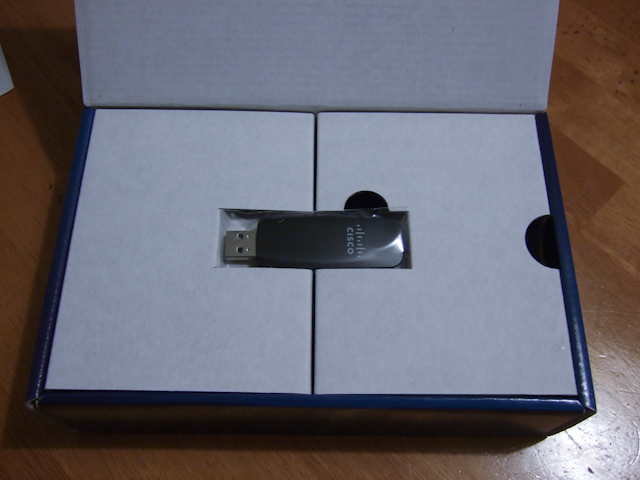 With my 1×1 Rosewill 2.4 GHz N USB adapter I can pull about 4 MB/sec. I would say that Wifi scales pretty well with each added antenna. 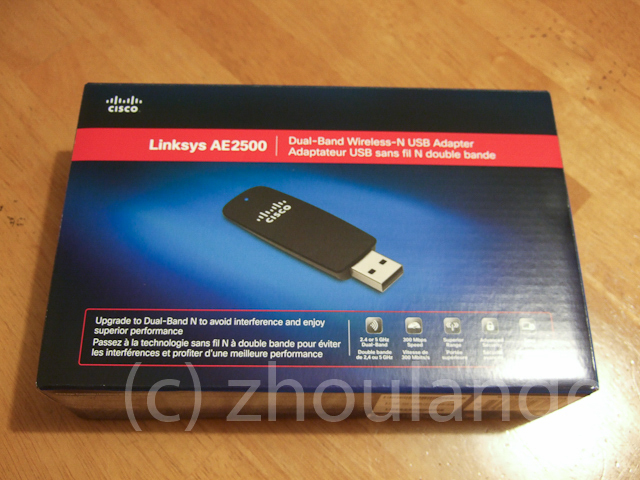 This Linksys AE2500 did not disappoint. I can pull about 9 MB/sec sustained. No issues with internet routing since it’s no longer a hack, and now my HTPC can stream without any issues. 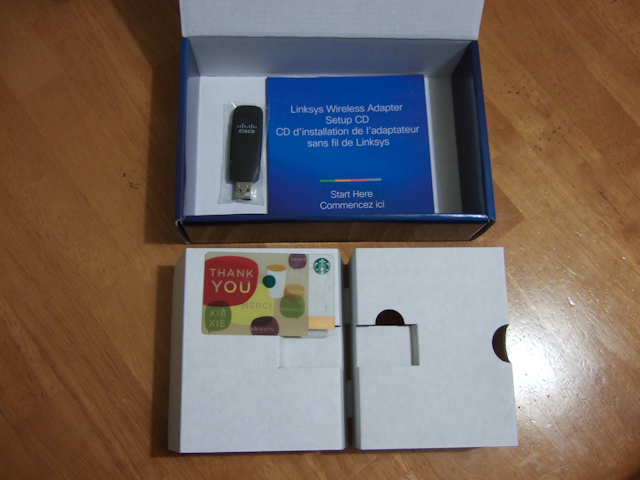 Install was fast and simple – insert CD, run setup, insert USB adapter, select network, and input wireless password.